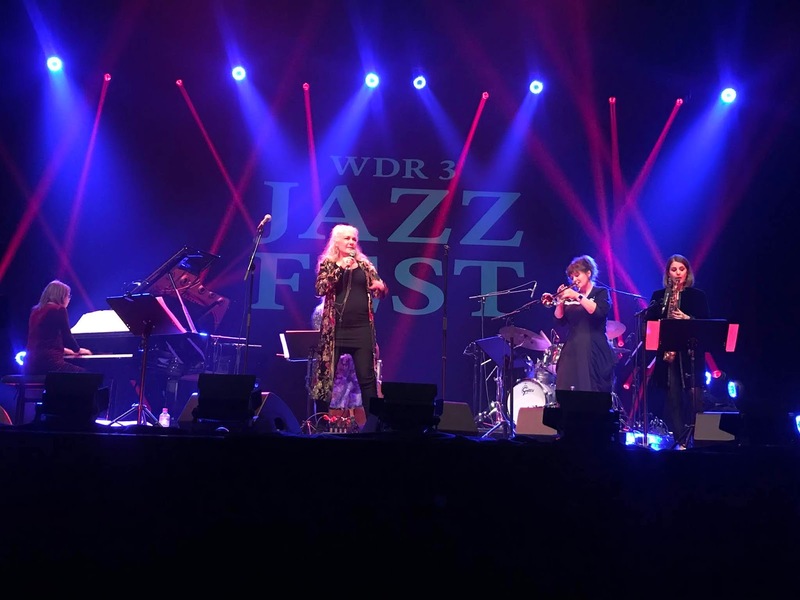 The annual three-evening WDR3 Jazz Festival is centred around tonight's annual “Prize Concert”, which will take place in Theater Gütersloh, and will draw attention as ever to a new crop of prize-winners. A recurring theme running through the rest of the festival is what the Germans call “Nachhaltigkeit”, sustainability. Previous winners are regularly welcomed back and given carte blanche to build projects large or small. For me, the undoubted highlight of this opening night was a quartet put together by one of these former prizewinners, the hugely versatile pianist Florian Weber. He is at the heart of many different projects, and this quartet had elements from two of them. 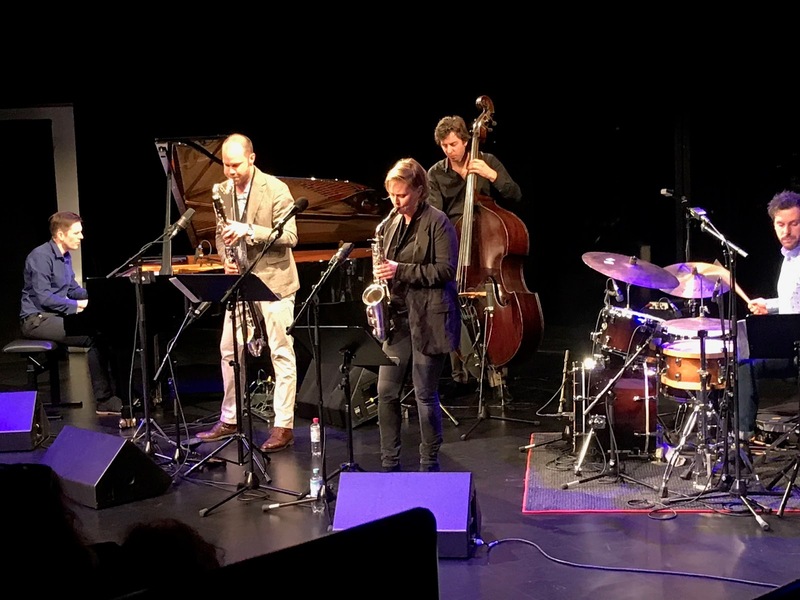 He has a duo with rising star German saxophonist Anna Lena Schnabel (first mentioned on this site as a member of BuJazzO as long ago as 2012). 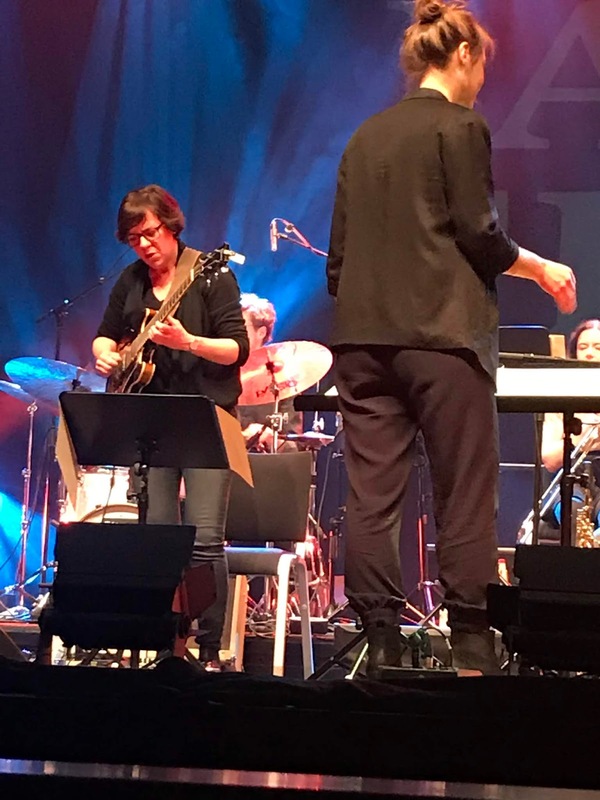 His most recent album for ECM, Lucent Waters, has Nasheet Waits on drums – and Linda May Han Oh and Ralph Alessi. 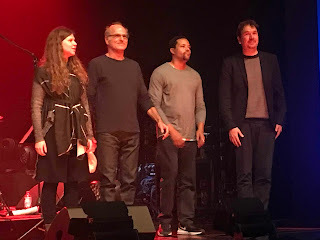 The quartet last night was completed by that very complete bassist Michel Benita. The logistics of this concert were far from simple or ideal since Waits had flown straight in from a concert the previous night in Mexico. Nevertheless, the whole set had a crackling energy about it, a sense of just “going for it”. It also ranged widely stylistically, and so the energy was directed in many directions. The first thing I noticed was the extent to which having a bassist and a drummer with the power, heft and sheer quality of Benita and Waits freed up Florian Weber to explore and roam freely. When you have rhythm players who can inject this level of belief and conviction into what they do, all risk that "going-through-changes" might be repetitive or predictable has disappeared. Weber is a pianist capable of devilish complexity, but also of the simple and poetic. We got both. He has worked with Lee Konitz, he has absorbed the teachings of Tristano, but in Schnabel he has a co-conspirator who needs no persuasion whatsoever to release her powerful inner Ornette, or to use a range of extended wind techniques from reed-slaps to multiphonics on to using mouthpiece-only as a duck-call. Time Horizon had the whole quartet in powerful free improv mode, and triumphant it was too. As in a very different way was the much more serene and harmonically-driven poetry of Bridge. Benita also showed the range of his creativity from deep thrum and anchoring a groove to filigree work a la Garcia-Fons. Waits has an astonishing liveliness about him, the only thing one missed was a chance for him to stretch out. There was probably a reason. This set is certainly as good as anything I have heard anywhere so far this year. There were three other concerts on this first evening, with a strong linking idea of featuring female instrumentalists. 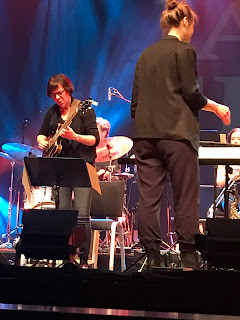 Bassist/composer Hendrika Entzian made a strong impression on me with her big band of players mostly from the Cologne scene in this early evening set. Her compositional identity came across much more strongly with this group than it had in last year’s prize concert performance with the WDR Big Band, but I also had the sense that the newer compositions were stronger and more individual. Her compositional way is to work over and explore repeated motifs and idées fixes with both patience and intensity. Perhaps the next phase will be to hear her build larger structures and longer concentration spans. Whatever the direction, it will be fascinating to witness. The pick of the soloists were guitarist Sandra Hampel and trombonist Shannon Barnett both of whom had dedicated features, and the paired tenor saxophonists, the searing and urgent Sebastian Gille and the more urbane and sweet-toned Matthew Galpin. There is one real collector's item among the Norby original songs: First Conversation is that extreme rarity, a song on the subject of “anamnesis”, the theory of the high romantic era that new-born babies harbour a vision of the eternal, which gave rise to the improbable story of the poet Shelley wresting a baby from a pram while crossing Magdalen Bridge in Oxford. 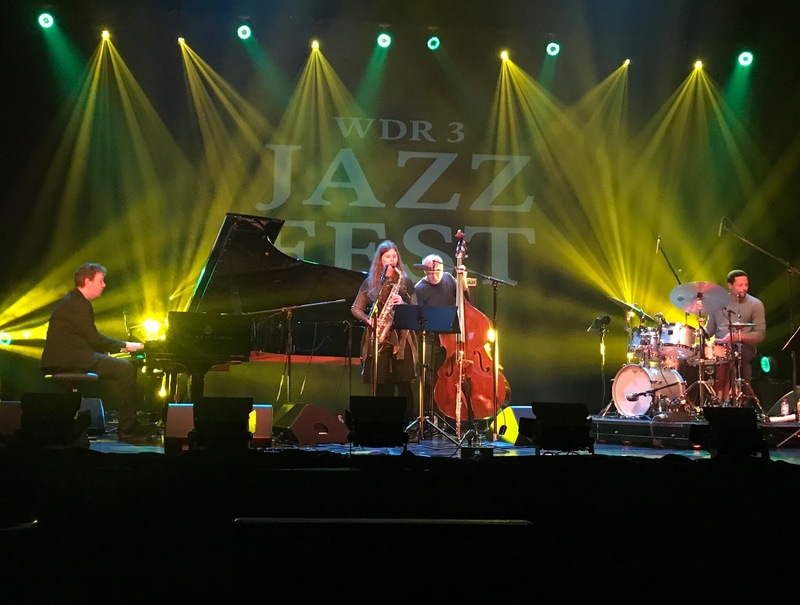 I got called away to do a live radio interview about the Festival in German and had to miss most of the set from Dutch-born, New York-based alto saxophonist Marike van Dijk. I liked what I heard but will have to catch up with it later; the whole evening was recorded for WDR3 and Arte Concert (links to follow).